Our Combi Coccoro sale and all six featured Combi car seat products are offered at special discount prices to save you money. Buy Combi Coccoro or any of the other offers knowing that you’re providing absolute protection and safety for your child. The Kobuk Air Thru booster seat with vented shell allows hot air to escape and cool air to rush in. It can be used as a highback or as a backless booster, keeping your child safe after he or she out grows a car seat. Deep side wings provide greater head protection. Belt guides give you the freedom to adjust the seatbelt vertically or horizontally so you can find the perfect belt position for your child. The height adjustable backrest, armrests and removable cup holder make for a comfortable environment. Removable and washable fabric adds convenience. The Combi Coccoro is lightweight and compact to fit perfectly in smaller vehicles. The compact design also accommodates three car seats across the rear seating of most vehicles. The Coccoro achieves True-Safe side impact protection with deep side walls and a layer of energy absorbing foam to distribute crash forces away from your child’s head, neck and spine. A tether connector strap allows for rear-face tethering, stabilizing the car seat in the event of a collision. Though it is a space-saving compact design, it is extensive relaxedly! A child & youth sheet appearance. The Combi Shuttle Travel System combines the classic Shuttle Infant Car Seat with the Shuttle Stroller to create a comfortable and convenient solution for busy families. The infant car seat provides deep side wings with True-Safe side impact protection for safe crash force distribution and built-in anti-rebound bar to minimize rotational forces in front and rear collisions. 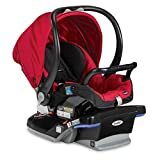 Installation of this car seat is a breeze with built-in lock-offs, wide belt paths, level indicators, and premium push button LATCH connectors. 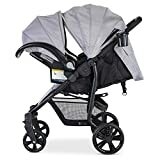 When on the go, attach the infant car seat to the Shuttle stroller, which features a one-step linked brake, a one-hand self-standing fold, an extended canopy with peek-a-boo window, and removable child and parent cup holders. Keep essential items stored within reach with the large canopy pocket and easy-to-access basket. The Combi Shuttle Infant Car Seat is lightweight, travel-friendly, and engineered for safety. Equipped with 360 degrees of protection, the Combi Tru-Safe Side Impact Protection and Anti-Rebound Bar shield your child in front, rear, and side impact collisions. An adjustable head restraint with deep side walls and a layer of energy-absorbing foam distributes crash forces away from your infant’s head, neck, and spine. The anti-rebound bar stabilizes the infant seat by minimizing rotational forces in front and rear collisions. An easy-to-remove and washable cover, harness, pads, and a large canopy keep children comfortable and safe throughout their first year of life. Premium push-button latch connectors, a built-in lock-off and an ergonomically-designed carry handle make the seat easy to install and transport. The Shuttle is also designed to be compatible with many Combi strollers to create a complete travel system for your on-the-go lifestyle. 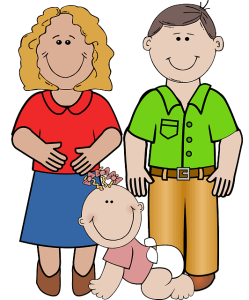 The Shuttle accommodates infants rear-facing from birth to 35 pounds and up to 33″ tall. The Coccoro convertible car seat is expertly made to have well balanced safety and convenience functions to completely match the growing requirements of taking a trip with your children. The Combi Coccoro convertible has a compact design to fit smaller sized automobiles. This is likewise light-weight for simple handling and setup. The Combi Coccoro convertible seat is geared up with TruSafe side crash defense, deep side wall security, and a layer of energy-absorbing foams. These incorporated safety functions can disperse crash force to the greatest parts of the body and protect the child’s most important body parts like the head, neck, and spinal column. This convertible seat has a five-point harness with a color indication to guarantee that the harness is safely buckled. It likewise has a front harness adjuster, integrated lock offs, and premium push-button LATCH port. The Combi Coccoro has a detachable and washable cover, harness pads, and infant insert pillow. 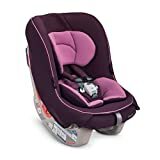 This convertible safety seat is likewise readily available in numerous color mixes to fit the choice of mothers and dads. Combi’s item design concepts, “combination of both parent and child,” is an incredible perspective and factor to consider when creating a safety seat. As safety is constantly the main focus of products for small children, what follows close is convenience and Combi provides you the most amazing products with mesh soft product for children and soft comfy ergonomic grip. Combi’s are light-weight and portable which makes them terrific for taking a trip. And the brilliant colors and basic patterns constantly makes it a lot more enjoyable and fashionable. 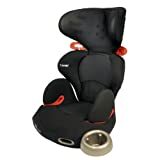 Find more Combi Car Seat products on Amazon!